I bought a scoring board just before Christmas and have found it useful for many things, including making all kinds of boxes. I'd like to stop in at Hollander's soon to find some nicer varieties of paper, such as embossed or flocked, to make unique tray boxes for holding mail or other accessories, too. 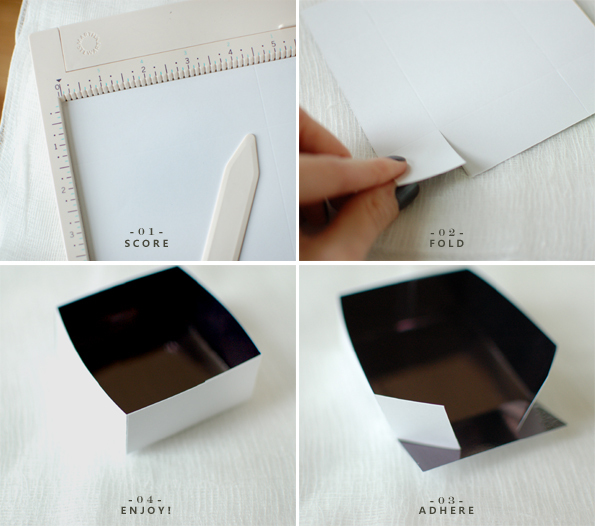 The steps (shown above) are so simple and can be adjusted for any size box: 1. trim paper to make it square (3x3 inches for tiny boxes) and score all four sides (1 inch in from each edge will produce 1 inch box sides, and so on). 2. cut a slit into each corner, and fold along remaining score lines. 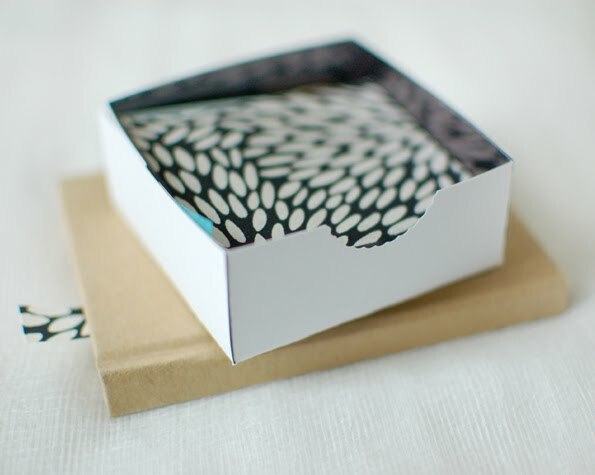 3. form into the shape of a box, adhering the sides using tape or glue. 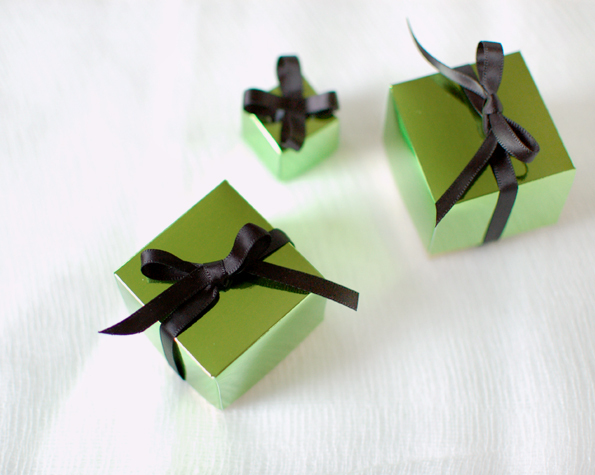 Below are a few of the boxes I've made - teeny tiny ones are definitely the most fun to make! Those are just darling - good on ya! I was thinking of getting one myself. How do you make the lids, though? In terms of size, I mean. Are they just the same box upside down? The little stamp box is adorable! I might have to make myself a whole collection. 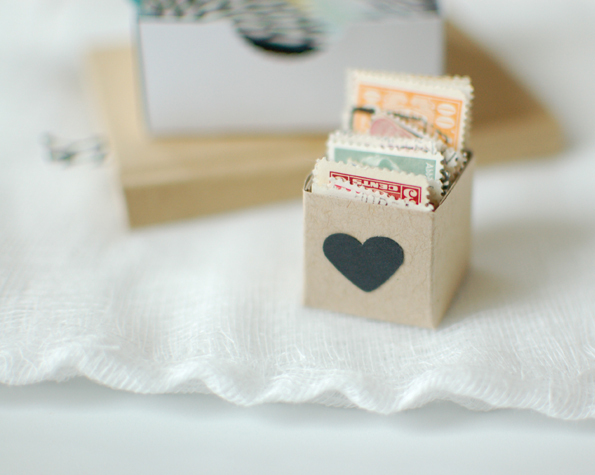 The tiny stamp box is just the bee's knees! I love it. Sometimes I can make the same size lid work. But you can also add a quarter inch or so to the top piece and add half that (1/8inch) to the scored sides (for example: if the bottom was made from a 5x5inch piece scored 1inch in from the edges, make a top using a 5 1/4 x 5 1/4inch piece and score 1 1/8inch in from the edges). Hope that helps! So adorable! I love this! 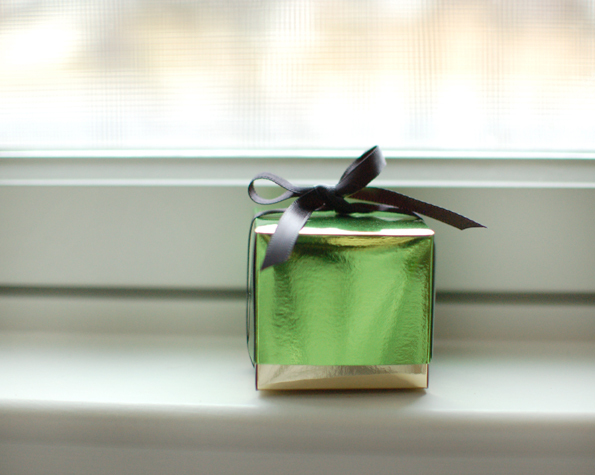 these are just adorable for st. patty's day! The stamp box is perfect. Why is your windowsill so clean!! :) I love this tutorial. Pinning it immediately. Thank you! 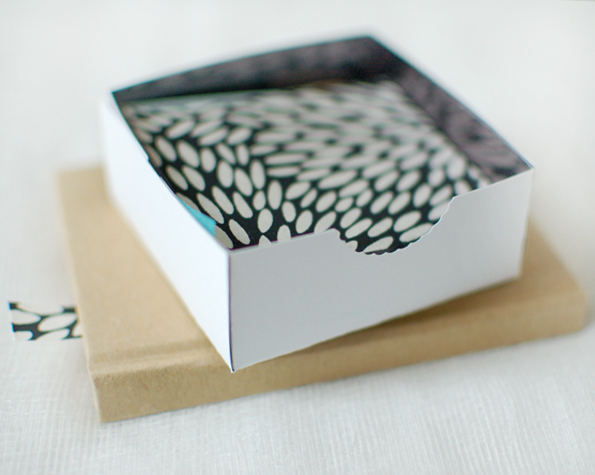 if you want a snug lid cut your lid paper 1/8" larger; for example bottom paper is 5" x 5" lid paper would be 5 1/8" x 5 1/8". Score the sides still at one inch or whatever you are doing. The 1/8" ease will be in the center part. YAY! Thank you for this. Definitely going to try it!